• Fostering the use of open source licensing for implementing legislative data standards. 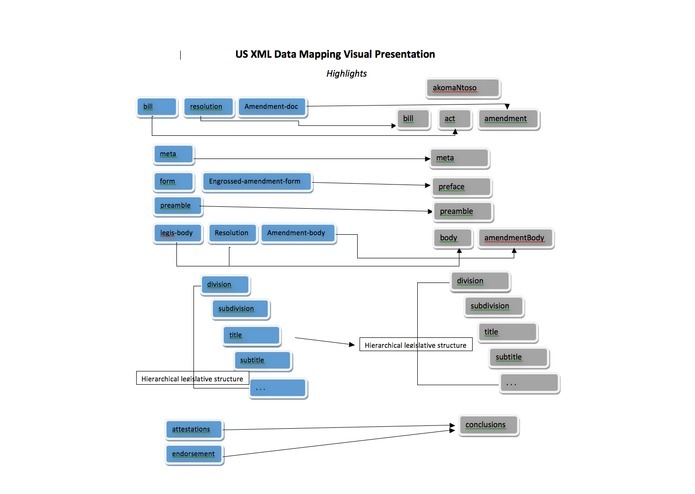 This document details a solution developed by Tanya Braginsky to produce data maps between US bill XML and the most recent Akoma Ntoso schema and UK bill XML and the most recent Akoma Ntoso schema. Gaps or issues identified through this challenge have been documented in detail. This solution provides accurate, complete and feasible data mapping of the eight legislative documents provided. 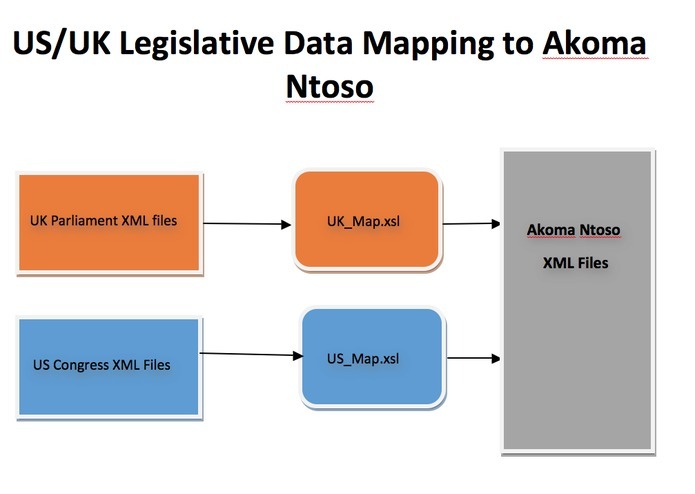 These included four UK Parliament and four US Congress legislations that were mapped to the XML files based on Akoma Ntoso schema. Completion: All the data content and attributes that was part of the original UK and US documents are present in the resulting Akoma Ntoso XML files or transformed to the relevant tags/attributes/classes/references according to the logic of the data and printed presentation of the original documents. 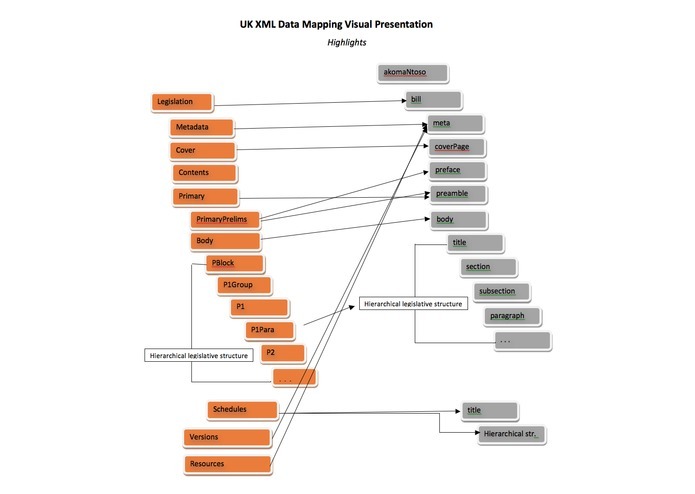 Feasibility: This solution completely maps the eight document provided but it does not map the complete schema of the UK Parliament (legislation.xsd) and the US Congress data type definition (bill.dtd, res.dtd and amend.dtd). The proposed solution however is a solid basis for mapping 100% of the data and to unify the mapping between different legislations data structure definitions.